rachel leigh audrey bracelets. | escaped. When it comes to accessories, I used to love colorful bangles we always see at supermarkets - one that costs RM 10 each. You know, the ones we can usually get from a traditional wear store, because they always go with baju kurung and all. In fact when I went back to Malaysia for raya this year I still buy them "aunty gelang 10 ringgit ni 3" you know, for my mum and sisters in case they want it too. ( sisters never did, mum always do) Cheap, practical and funky. But for the slightly fancier one, I'd always rely on House Of Harlow 1960 by Nicole Richie, no matter what. 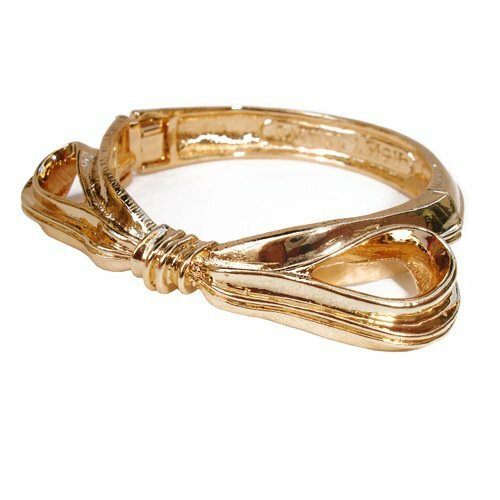 The Aztec bangles are simply fantastic, the gold and leather compliment each other, the designs are so hobo chic yet sophisticated. I can go on and on praising Nicole Richie's designs but it'd clash with the purpose of this post. 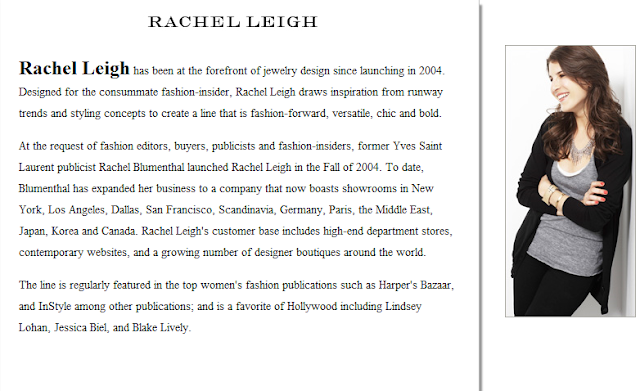 Because today I discovered my new favorite jewelry line, Rachel Leigh. OK maybe not today, because I've heard about Rachel Leigh line a while ago, but I was too into HOH that I somehow refused to acknowledge other line's fabulosity haha. Yes my brain is one very complicated brain. Today I was browsing accessories fashion blogs when I saw the entry about its bracelet line, and kicked myself for not knowing about it earlier. Apparently the celebrities love it, and girls being girls we'd always love everything our favorite celebrities wear! Right? Other than bracelets, it also has this wide range of rings, necklaces, earrings and headbands - so many to choose! Go to the website and see, I can click endlessly only to realize my bank account won't be able to handle the amount. Sheesh. I want to start working and earn my own money right now. You can notice that the line's fabulousness (I feel like a high school girl using this word) actually lies at of course the high fashion designs and its very own trademark, the bow. I'm not a big fan of bows but this one does it for me - a girl can never have too much bows! 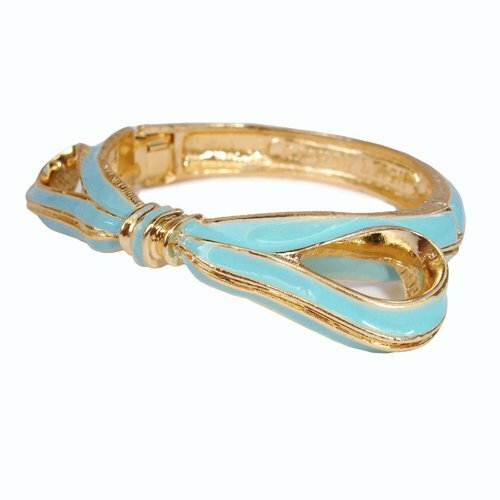 Having said that, I fell head over heels with the Audrey enamel bracelets the most; the simple yet understated carved gold plated bracelet. It comes in so many colors to choose from; from white, pastels, vibrant to black. I bet if we were face-to-face right now, my boyfriend would give me nasty stares. I don't care anymore. I need these ASAP. In Japan, Rachel Leigh jewelry can be found at Kitson stores. Oh great, Hiroshima doesn't HAVE ONE.